Join us for the 2nd of 3 Community Advocacy Chats that are part of our 2018 Stand in the Gap project for 2018. 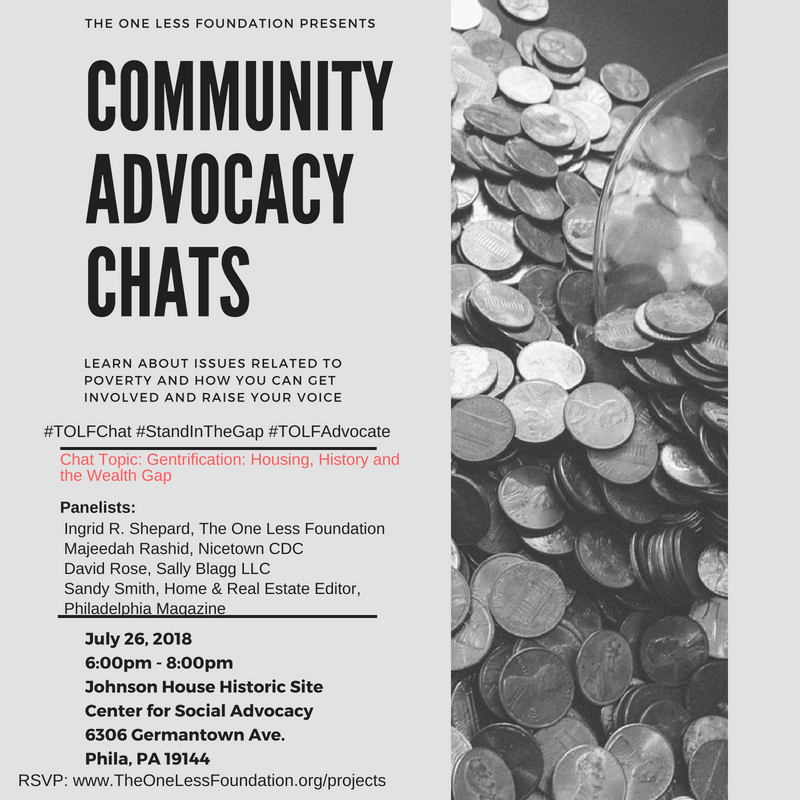 Learn more about the advocacy work we're doing at The One Less Foundation and what some of our partners in the community are doing. Learn the issues. Raise Your Voice. Get Involved. If you can't attend in person, follow the live stream of the chat on our Facebook page.